The U.S. Department of Energy has called for government agencies to improve the energy efficiency of their data centers, Data Center Knowledge reported. Specifically, the Department of Energy's Data Energy Challenge aims to improve data center energy efficiency by 20 percent by 2020. This challenge is aimed to apply not just to federal agencies, but also private sector companies that are looking to improve in this area, the news source explained. The challenge is being organized by the Department of Energy's Lawrence Berkeley National Laboratory and the Government Information Technology Executive Council. These groups will offer guidance to agencies and establish protocols to assist their data center consolidation efforts. Already, several groups have signed up to participate in this initiative. "The DoE has reached out to a few federal and private data center operators and there's half a dozen to a dozen already signed up," said William Tschudi, program director at the Lawrence Berkeley National Laboratory, the news source reported. According to Data Center Knowledge, the Department of Energy is also reaching out to major private sector data center operators, such as Facebook. However, as the news source pointed out, achieving these energy efficiency goals will likely prove difficult for several reasons. A key problem, as Jay Owen, vice president of IT Federal Solutions at Schneider Electric, is the culture government agencies have established. "The culture of the way they've been built hasn't been conducive," Owen said, according to the news source. "There are departments, sub-departments, and you're telling them they have to go and move into other facilities. There's not a clear reporting hierarchy." 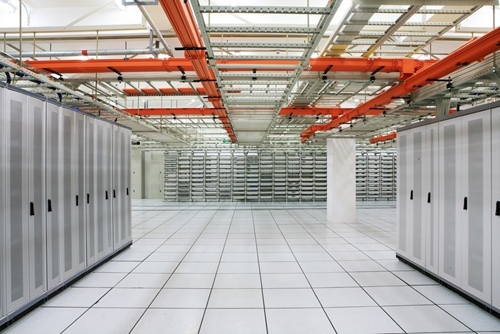 Another major issue, Data Center Knowledge reported, is the fact that agency budgets are passed on a short-term basis. This makes it difficult for departments to pursue data center consolidation efforts and other long-term projects from beginning to end. However, it is important to note that beyond the environmental and performance benefits, data center consolidation can also deliver major financial incentives. A recent study from Meritalk and Brocade found that federal agencies could save as much as $20 billion by improving IT infrastructure. Specifically, the report cited data center consolidation, virtualization, cloud computing and remote access as key strategies for cutting down on IT expenses.